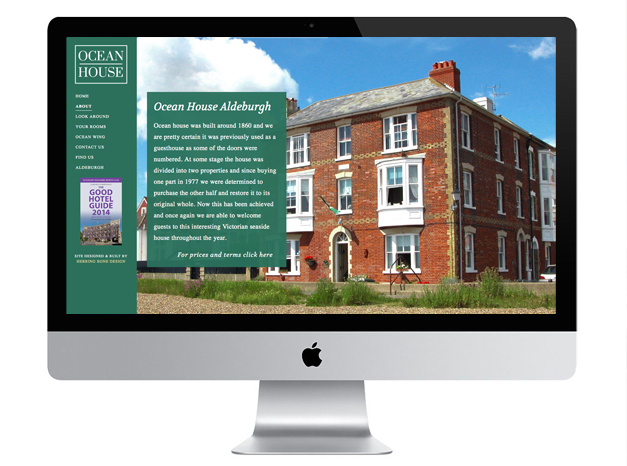 When Ocean House asked us to rebuild their site we decided to put the emphasis on what it is that they are selling, a fantastic 19 Century building situated right on the beach in Aldeburgh. 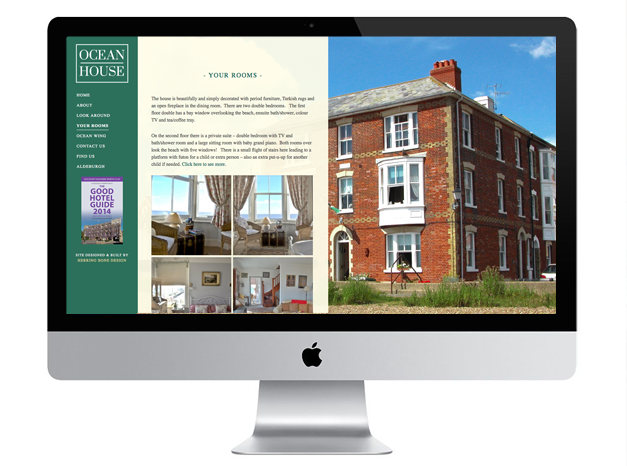 What better place to stay for your holidays? Seeing as the building almost sells itself, we wanted the site to show it off as much as possible. 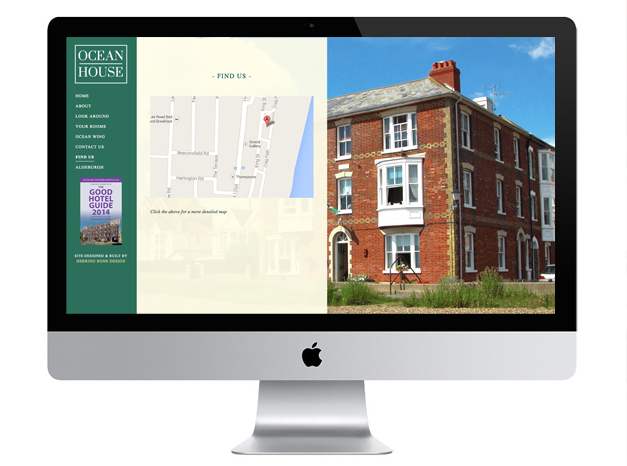 No fancy animations, just full screen shots of Ocean House – you can almost smell the sea breeze!